Musical study requires the ability to focus on details for periods of time. How do you sing that phrase with a long, smooth line? What is that rhythm? From reading music on the page to creating the music with our bodies, music making involves concentration and focus. Do you or your child have difficulty focusing on academic tasks? Singing lessons may help. Your body is your whole instrument so it requires a lot of focus and concentration to sing. You work on getting your body physically in sync with your brain thus really concentrate. 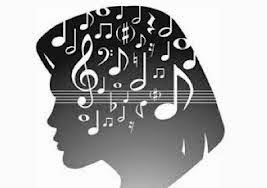 It is not easy to make beautiful music, phrasing, and sing the right words at the same time, so your concentration skills are challenged! These are complex thoughts when put together in a long strand in a sequence. This helps us increase our focus, concentration, and multi-functioning brain capacity! Those notes are small on the page. To interpret and read them, a student must be able to block out other influences and concentrate on the task at hand. No one else can do it for them as they cannot hide in a big class. The singing teacher helps each student to process the information on the page. Then their brains must interpret the notes and tell their bodies what to do. Repetition of the process to play or sing the phrase as it is written is necessary. Repeat, repeat, and the body and brain remember it. Repeat and add another command such as 'make these 4 measures one phrase and sing it in one breath' and one must really focus. Concentration to do these things carries over to other parts of your life! Just like when reading aloud as a young child, someone learning to read notes must learn to interpret what they are singing as they go. Remember the days that we spent following the words on the page with our fingers to help us to keep our place when we read? Were you ever asked if you understood what you just read? Learning to read can be a challenging task. Learning to read music facilitates reading words as it uses symbols that need to be interpreted just like words do. Eventually reading and reading music gets easier and you DO understand it the first time. The process of the eyes following notes (words) left to right gets easier with repetition and processing. What great qualities to learn to help us to create beautiful music and accomplish so many other things in our lives!! Get involved in singing lessons at the beginning of the school year and watch how concentration skills in music and your other studies grows! What are your thoughts about how musical study increases concentration and focus?